Tomorrow is New Year’s Eve, wow. The last two weeks have been a bit of a blur, can’t believe the year is almost over. At the same time, I’m ready for 2015 because 2014 was a little rocky and sad loosing Skipper. We miss them both and still get sad. But I did run two half marathons in 2014, the Shamrock’n and Urban Cow and both under 2 hours which is great for me. Who knows how many races will be in 2015, but I plan to keep running for as long as I can! I need it for blowing off work steam and getting outside more! Hmmm, maybe I’ll dabble in trail running for 2015. 2014 was a quiet year for adventures sadly, we didn’t travel a lot with issues finding pet sitters and crazy work schedules. But I did make it to the San Francisco VegFest. And had fun at Apple Hill for my mom’s birthday weekend. And I got inspired by Dr. Will Tuttle. Looking forward to more adventures in 2015! 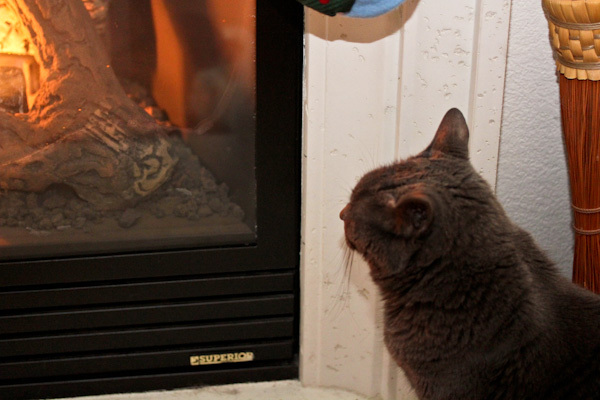 But we’re keeping low here this week with chilly weather, we’re actually getting freeze warnings and Smokey has been enjoying her favorite fireplace show. While Miko has been content to play with hubby and bring us all his new toys. 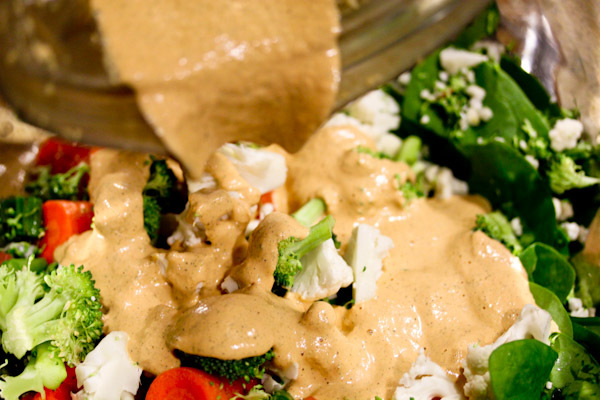 I’m still keeping it healthy with lots of salads after holiday eating and getting creative with veggie-based dressings. 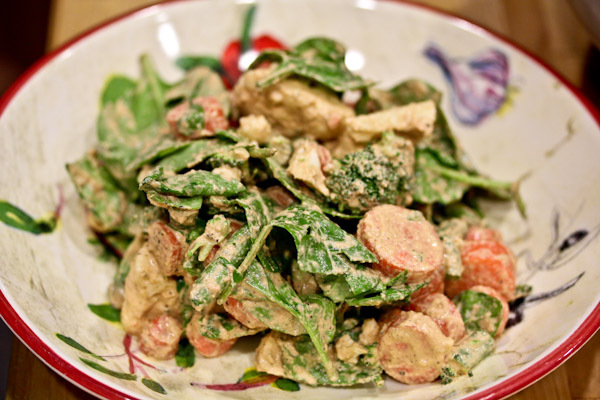 This one is a simple and kicky garlic dressing for garlic lovers with a warming orange color and creamy texture. It also added a warming and spicy garlic kick which was welcome for a raw salad on a chilly evening. Great recap of your year Christine. I totally understand your sadness, It’s so hard losing our pets.